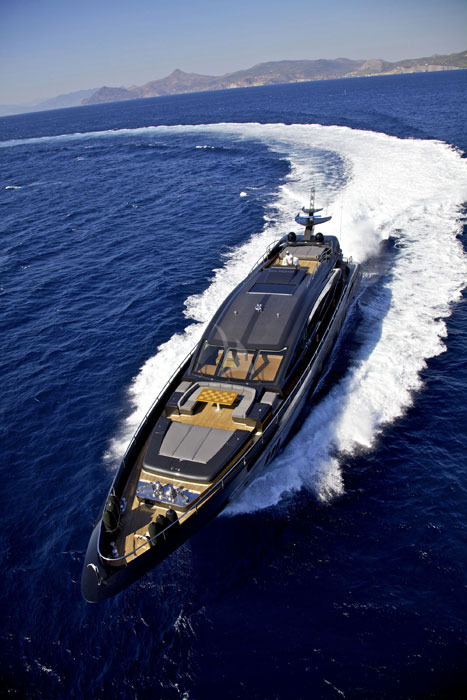 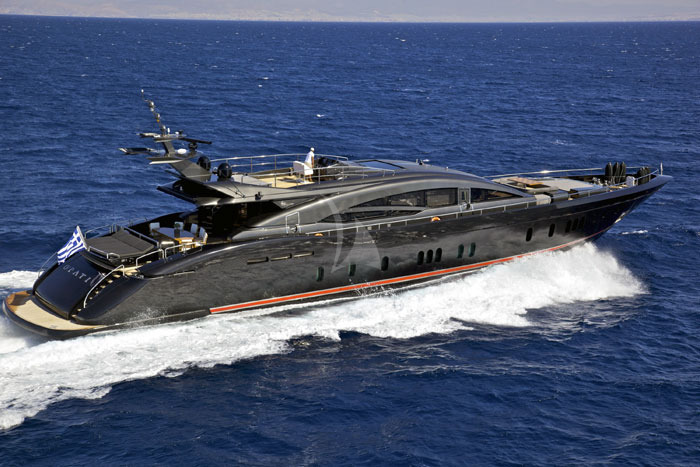 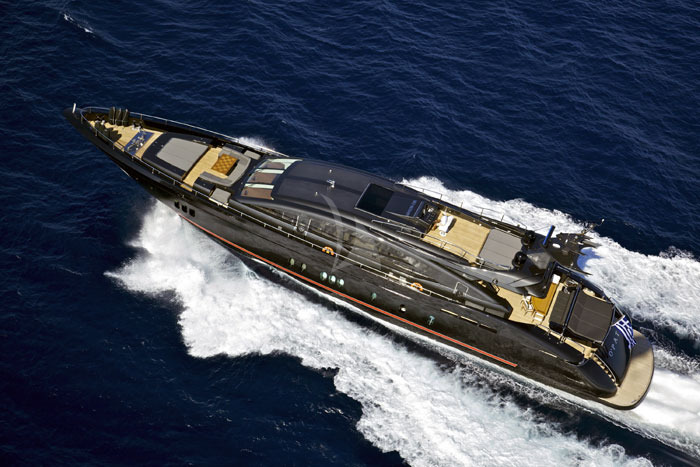 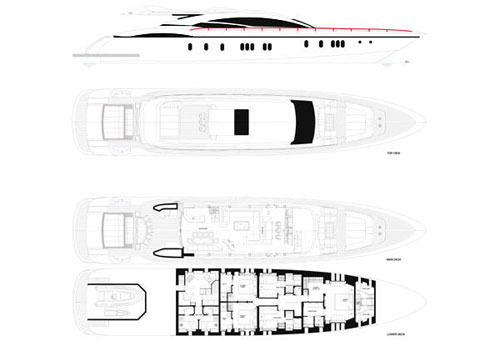 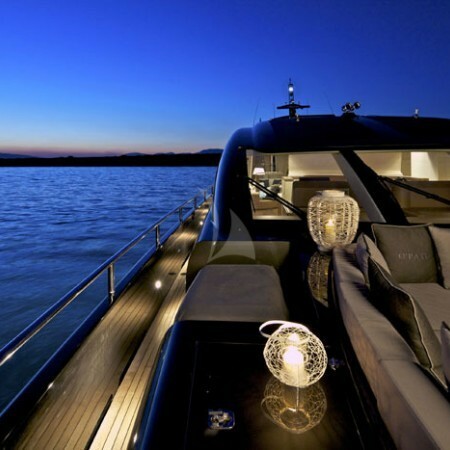 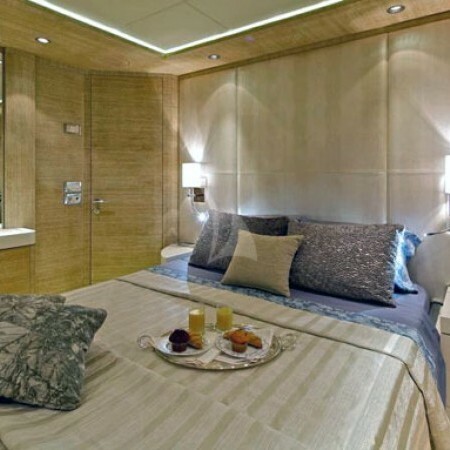 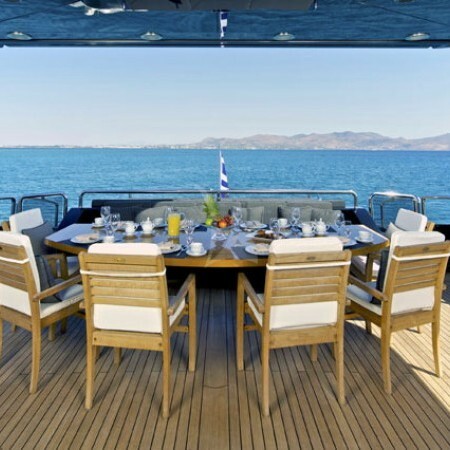 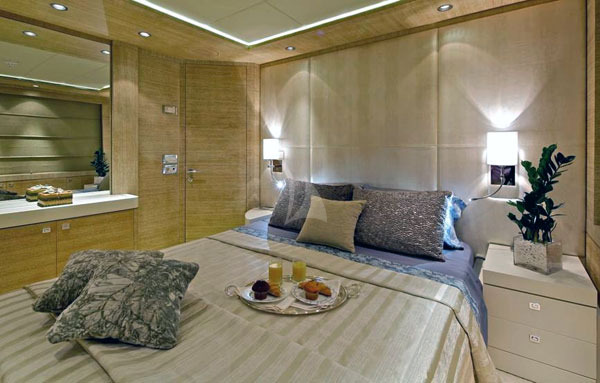 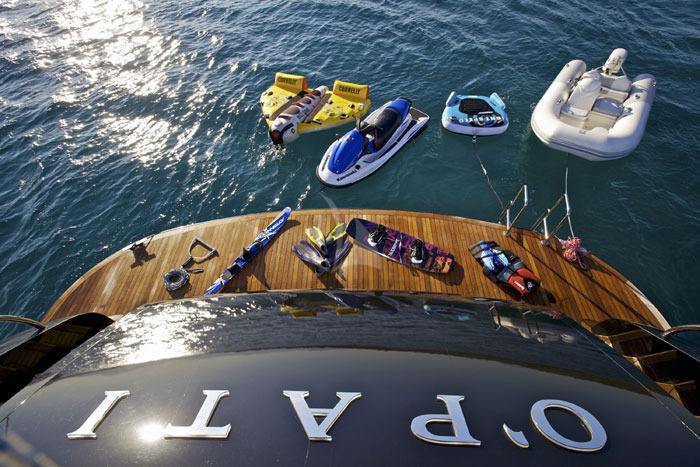 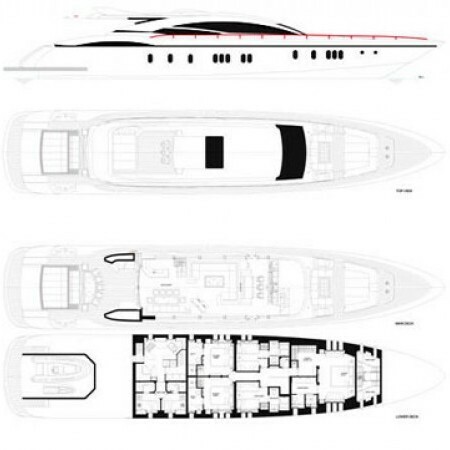 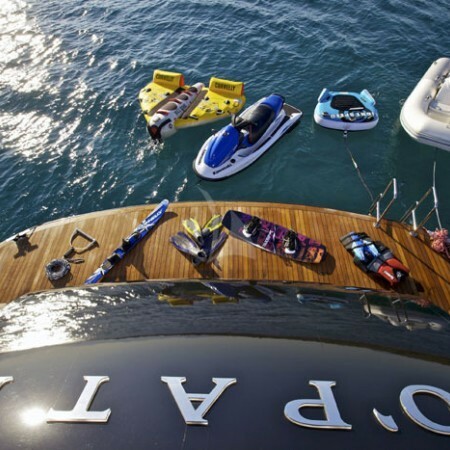 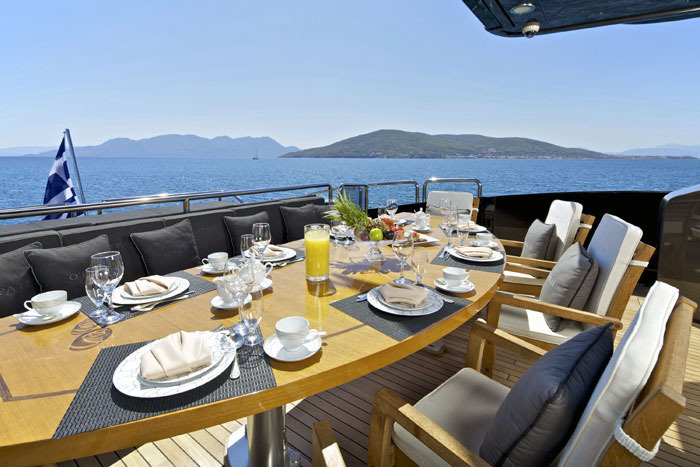 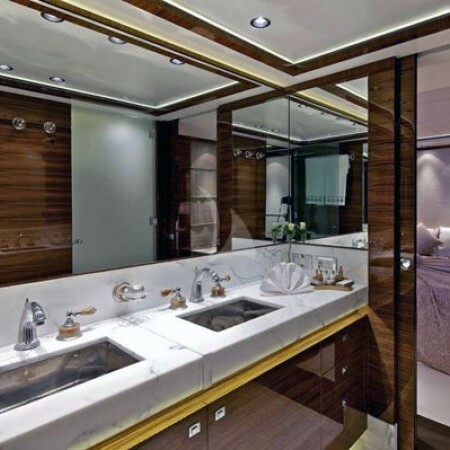 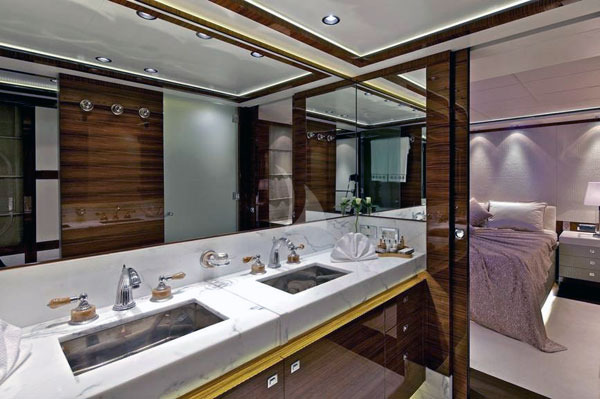 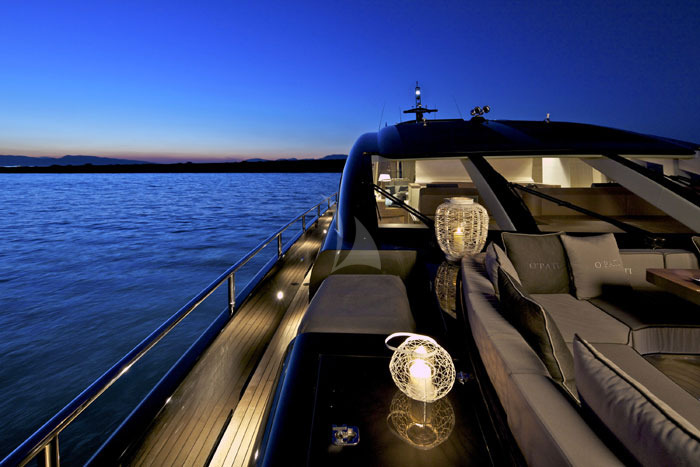 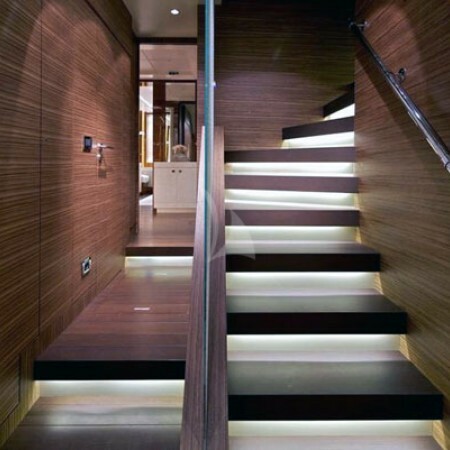 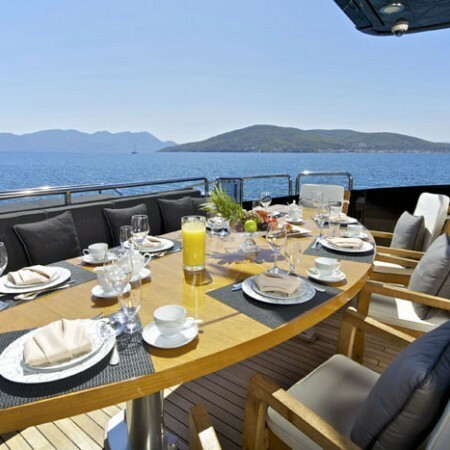 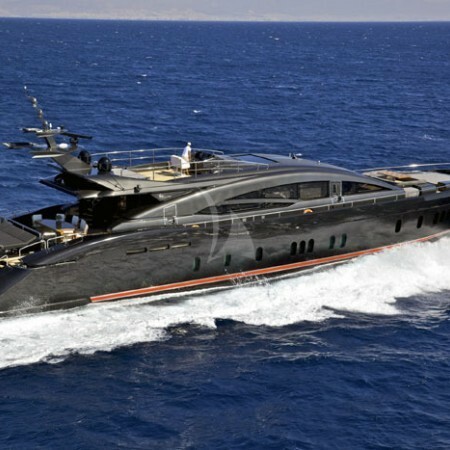 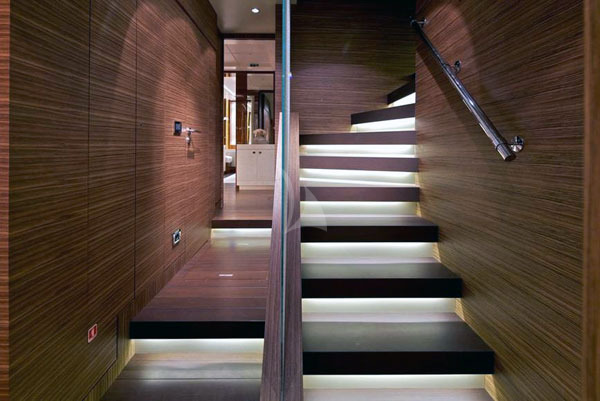 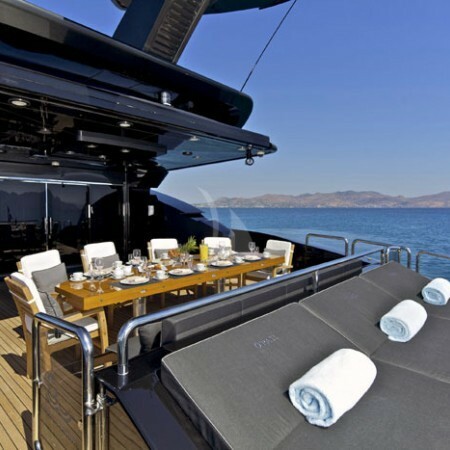 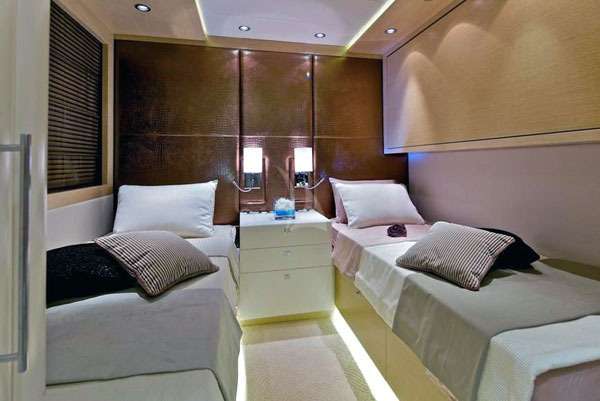 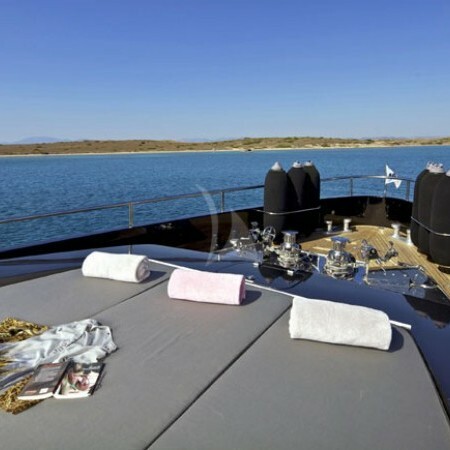 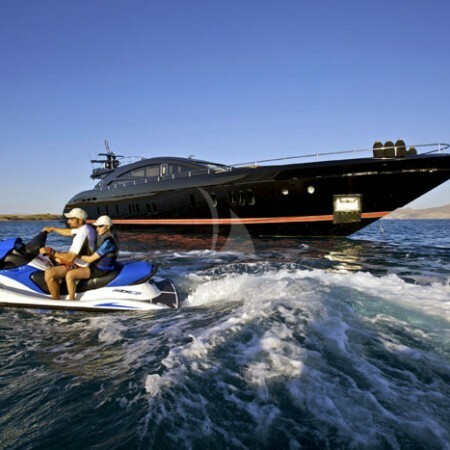 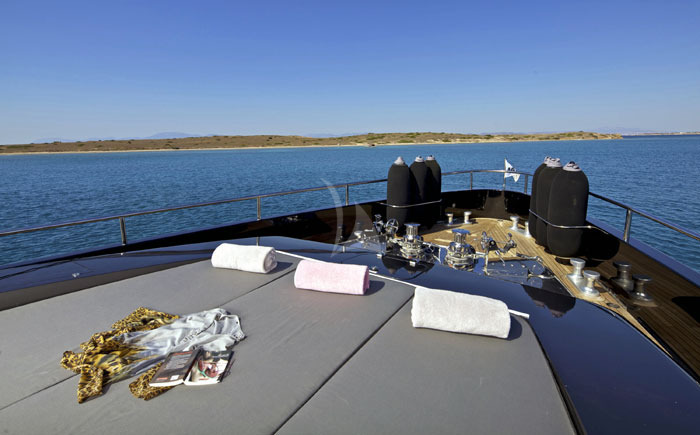 A unique 40m open yacht in the East Med market with a minimal interior environment. 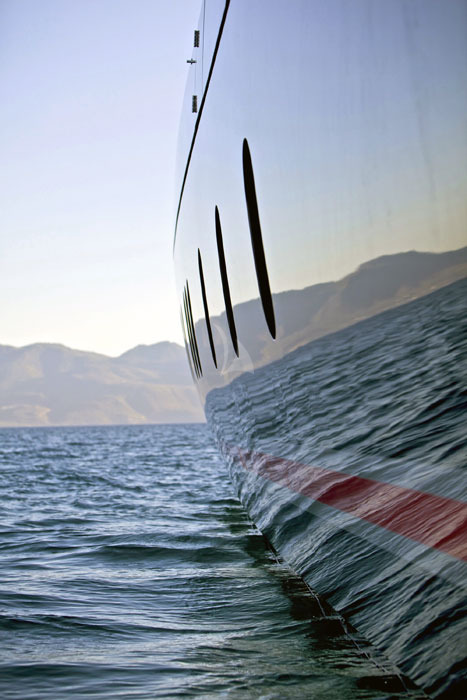 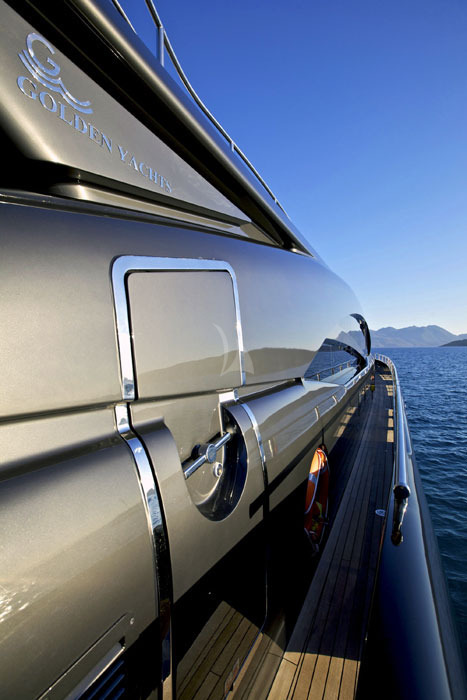 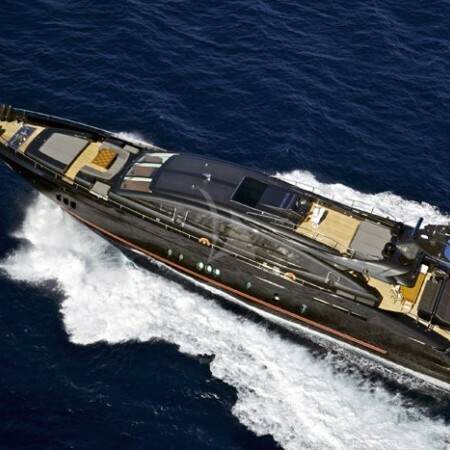 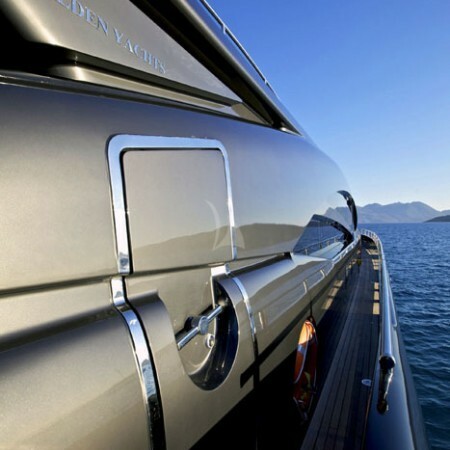 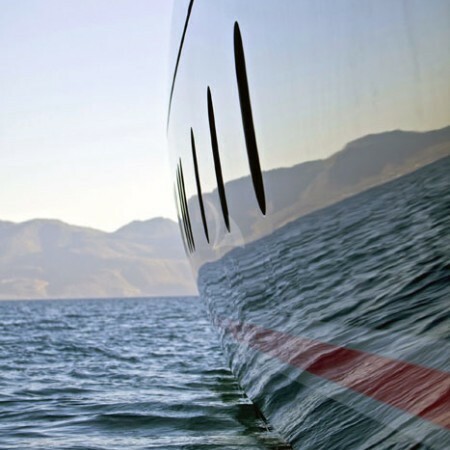 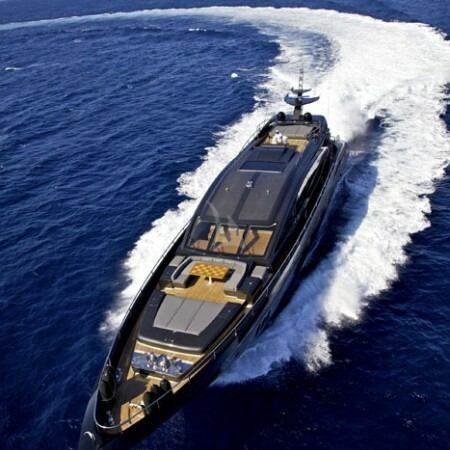 This impressive modern motor yacht with her dark hull and sleek powerful lines designed by Giorgio Vafiadis, was built in 2011 by Golden Yachts in Greece, and has been awarded by International Super Yachts Society as the Best Power Yacht 24-40 meters. 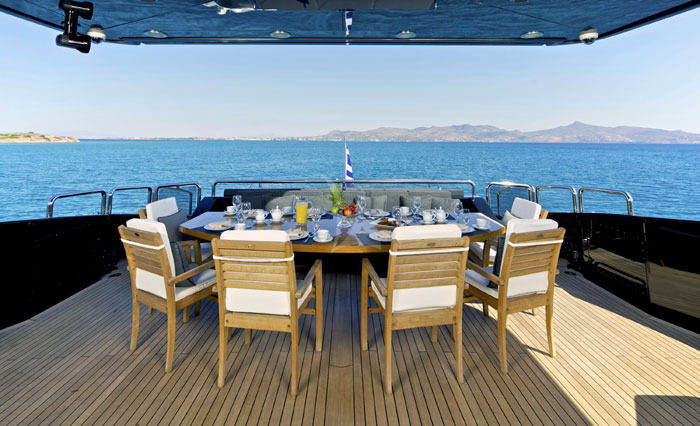 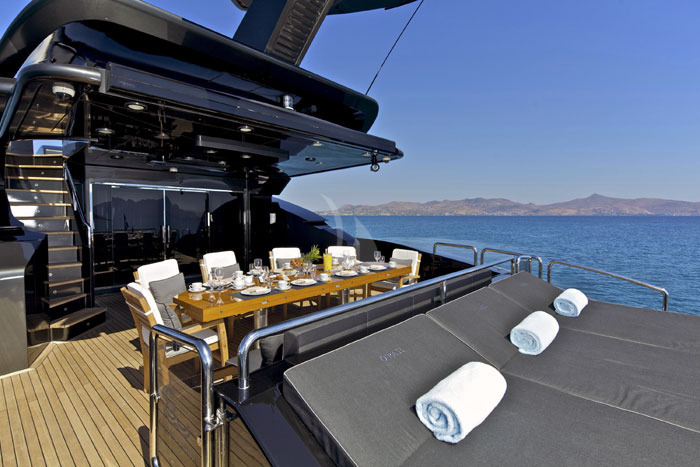 Her spacious exterior areas offer large sunbeds for sunbathing lovers and ample space for al fresco lunches under the large retractable automatic awning. 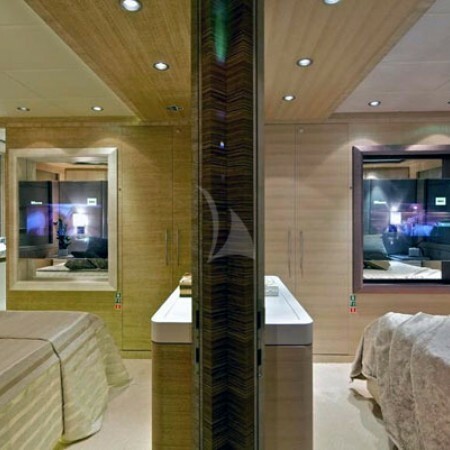 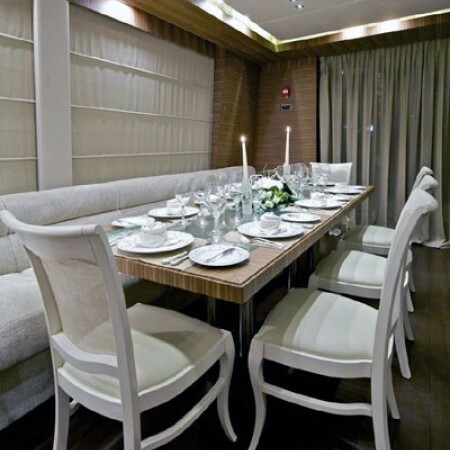 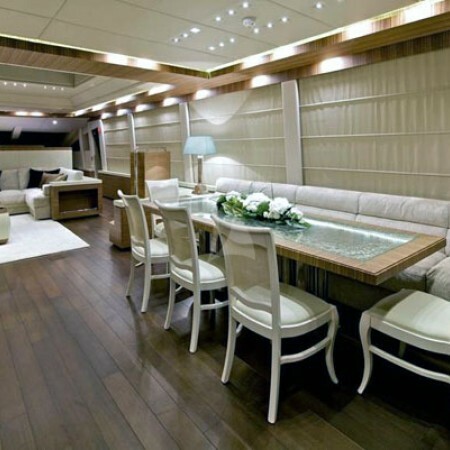 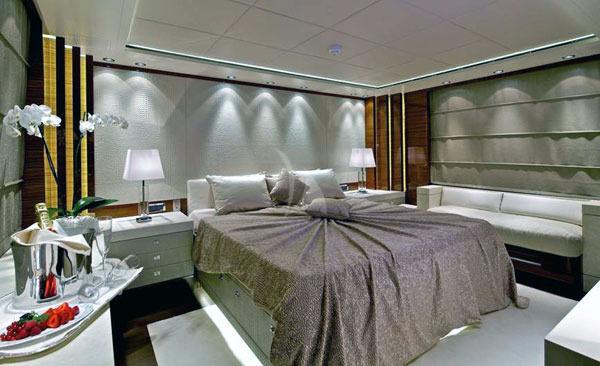 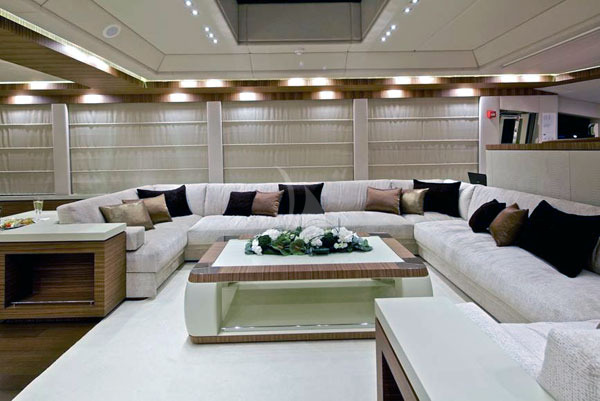 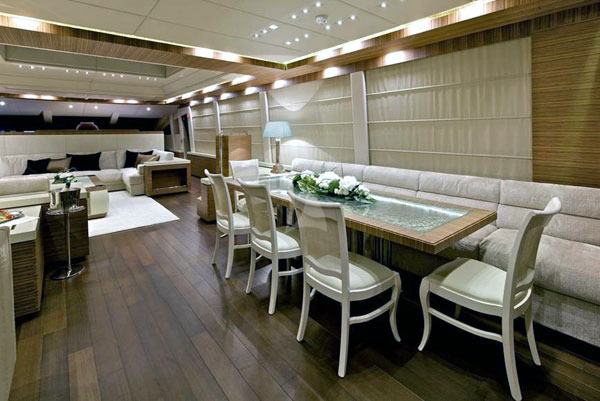 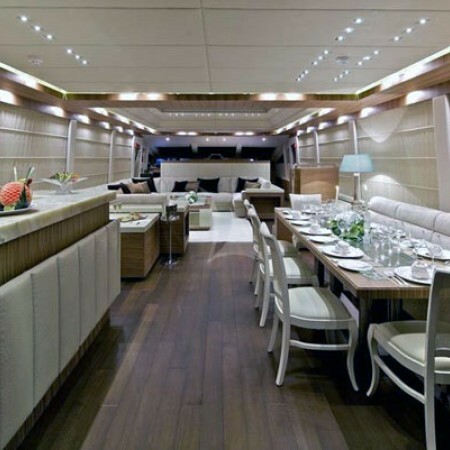 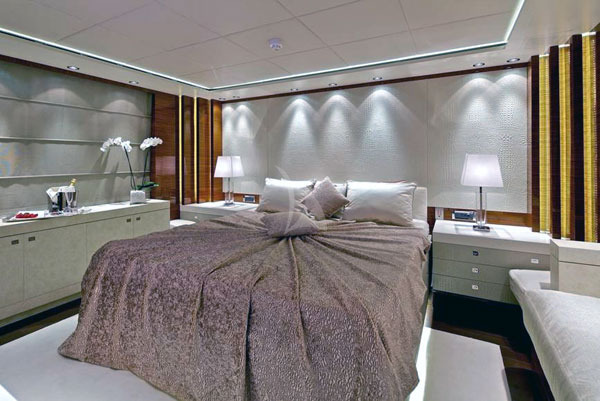 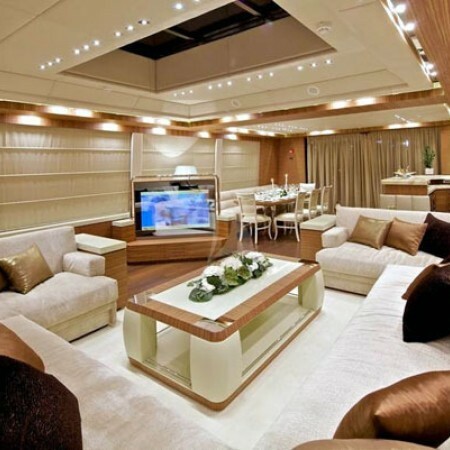 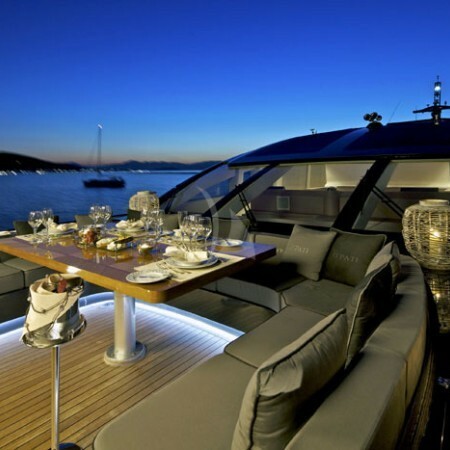 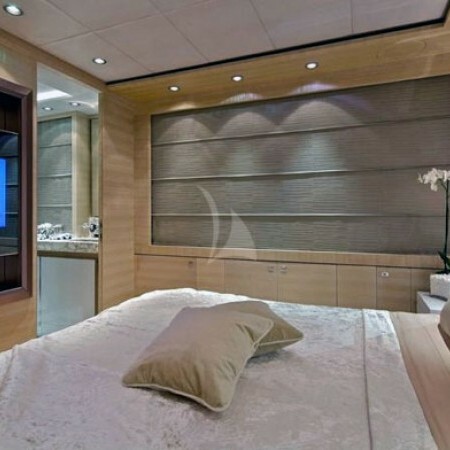 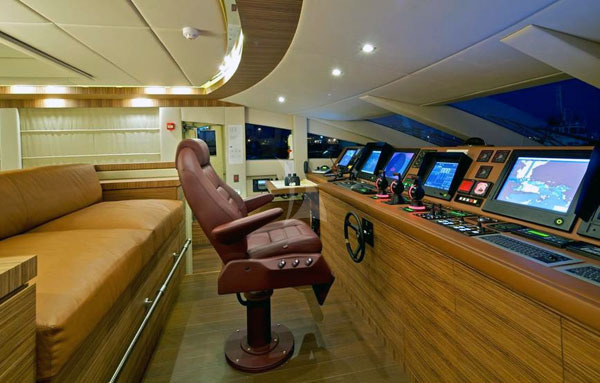 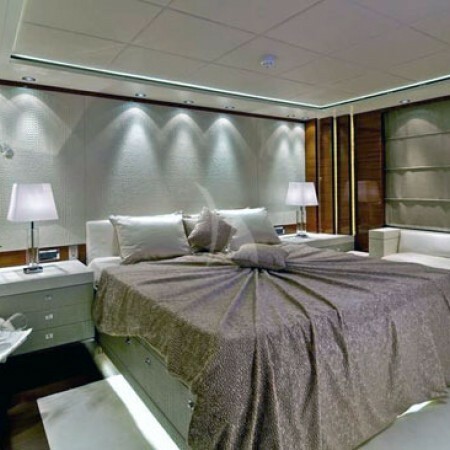 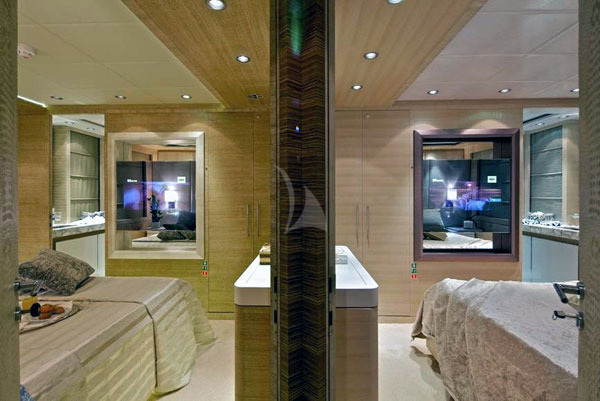 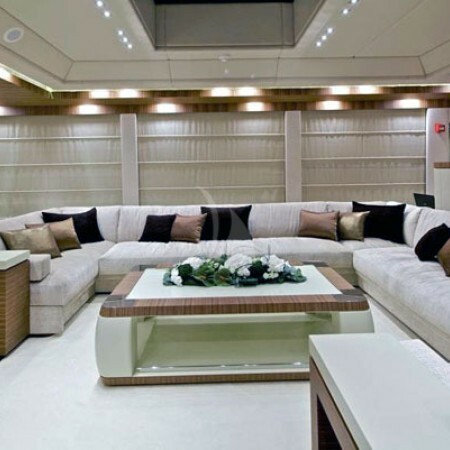 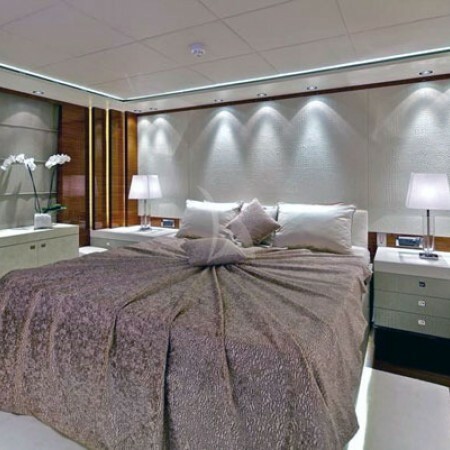 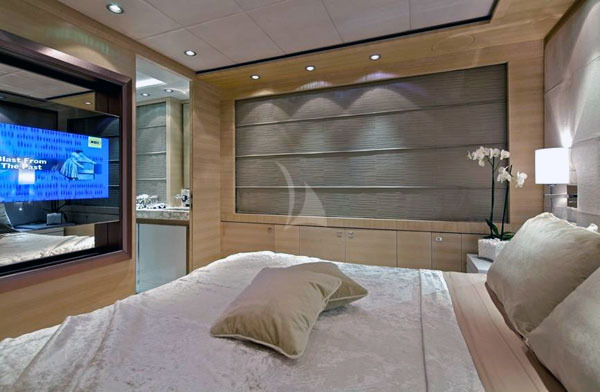 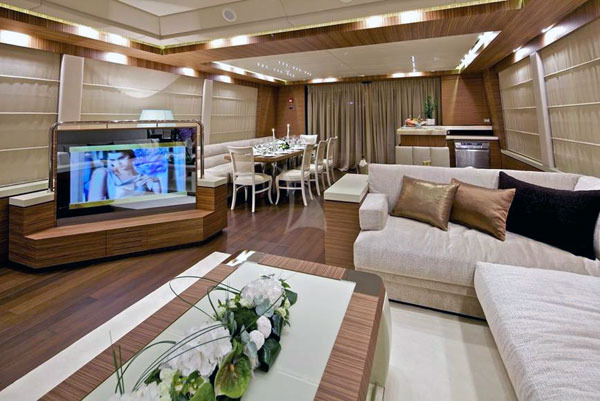 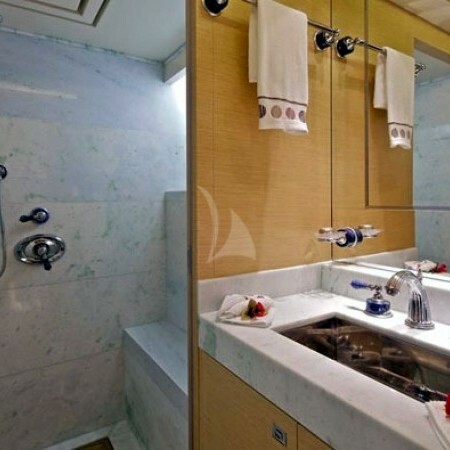 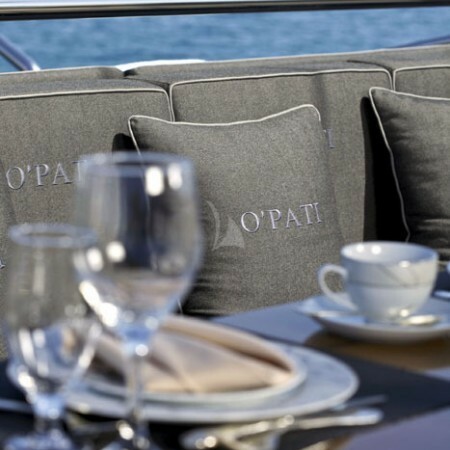 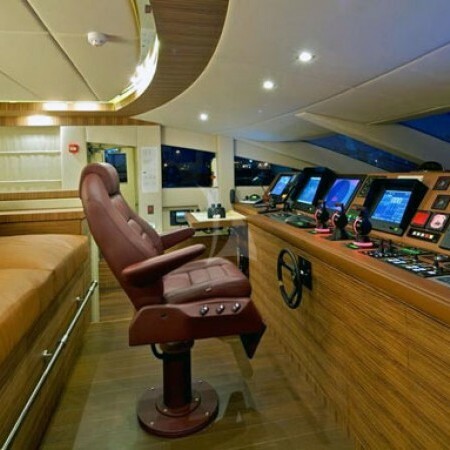 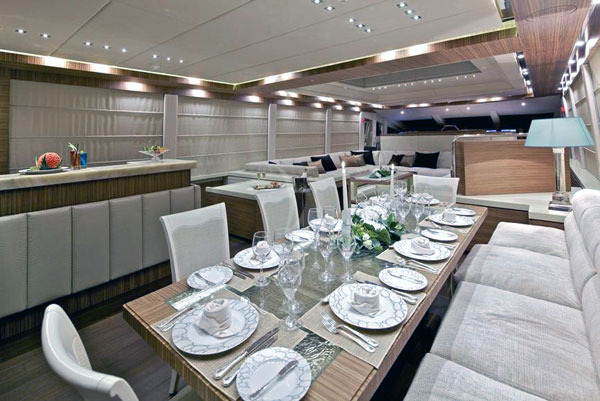 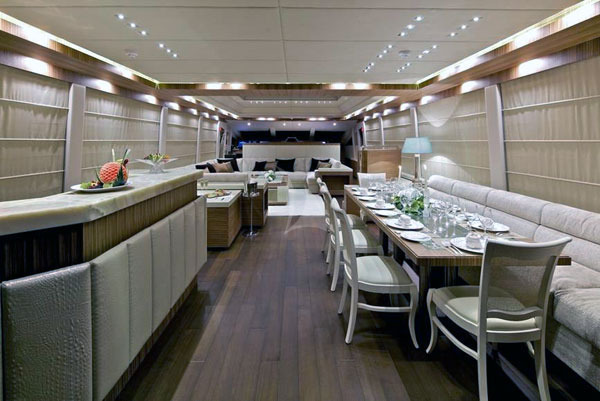 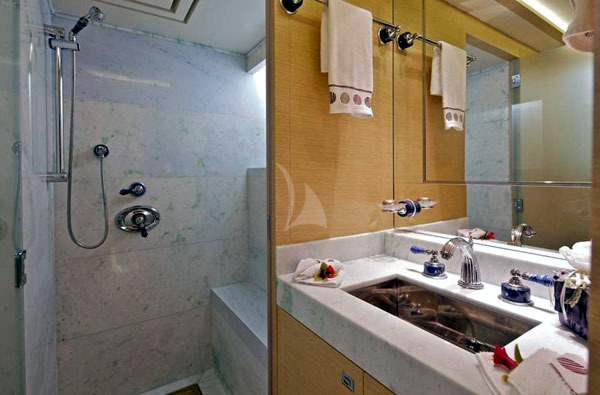 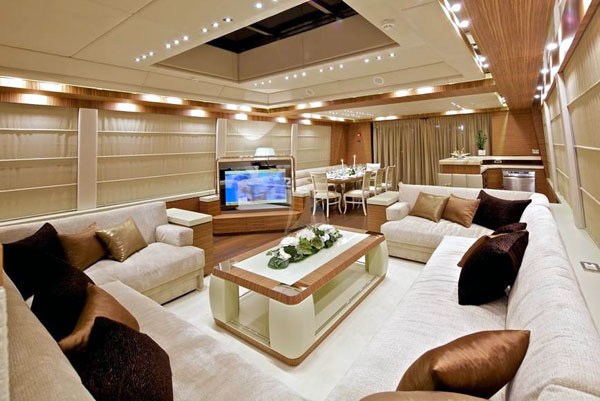 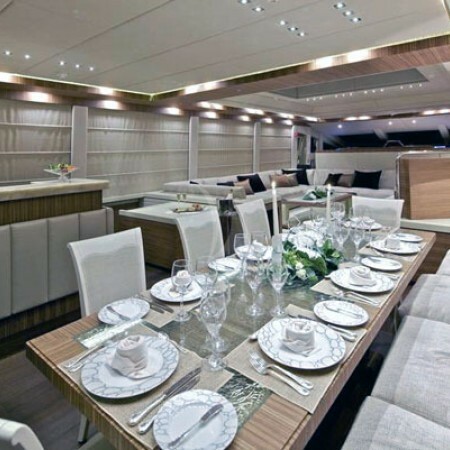 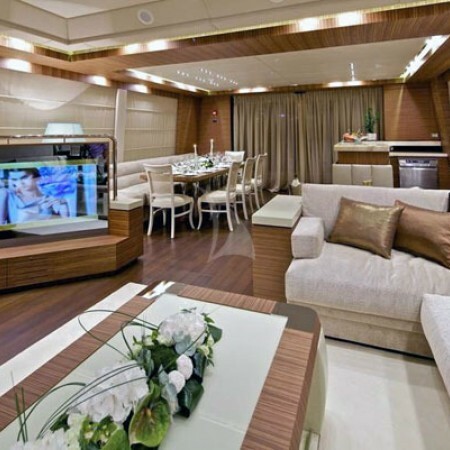 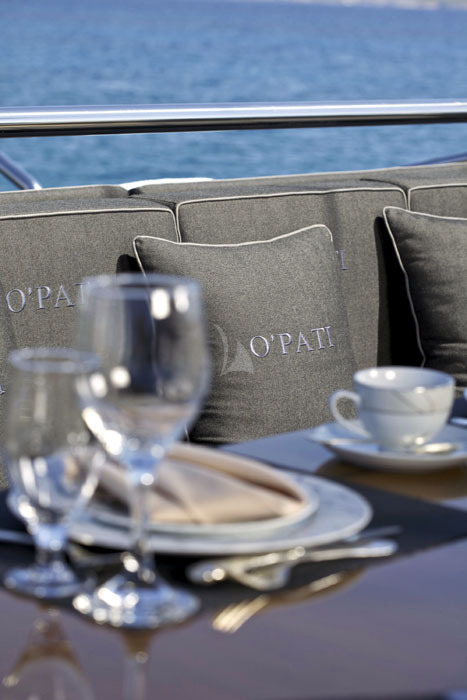 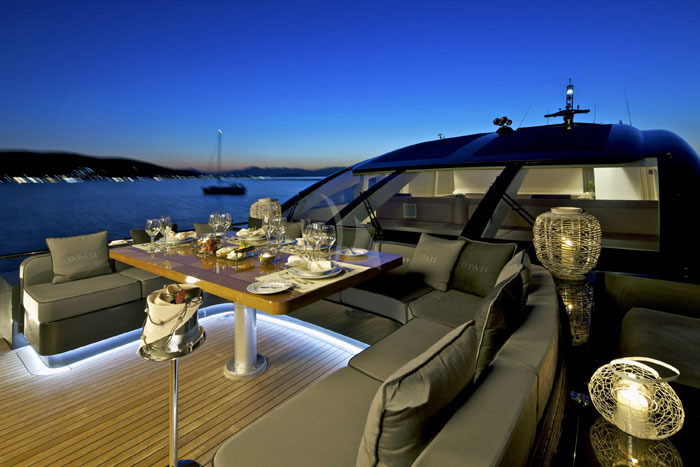 Her stylish minimal interior in leather, wood and high quality fabrics features a main salon with a luxuriously sized central sofa with home theatre and a comfortable dining area on main deck. 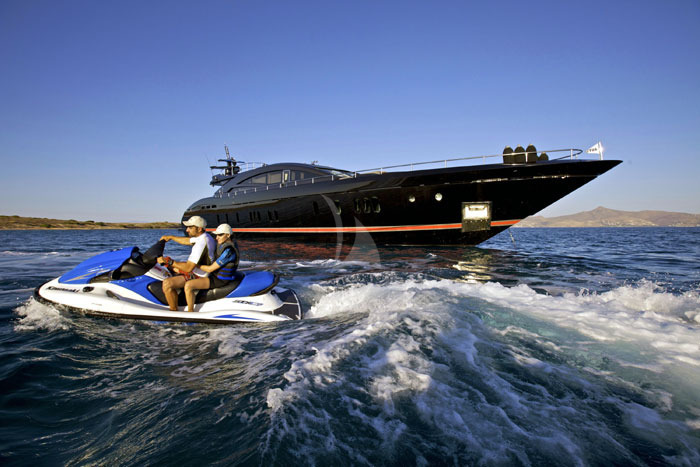 Tenders + toys: 1 x 5,3m ZAR tender with 140hp outboard. 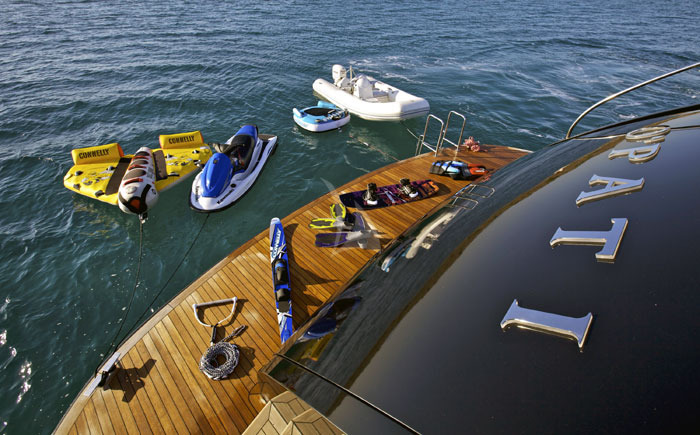 1 x Kawasaki 3 seat jet ski. 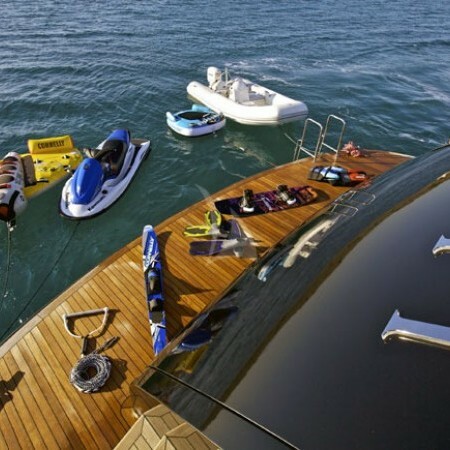 1 x Stand up paddle.